Do you feel like your make up doesn’t last past lunch time in this summer heat? Cry buckets at weddings? Do you dance your make up off within an hour of being in the club? 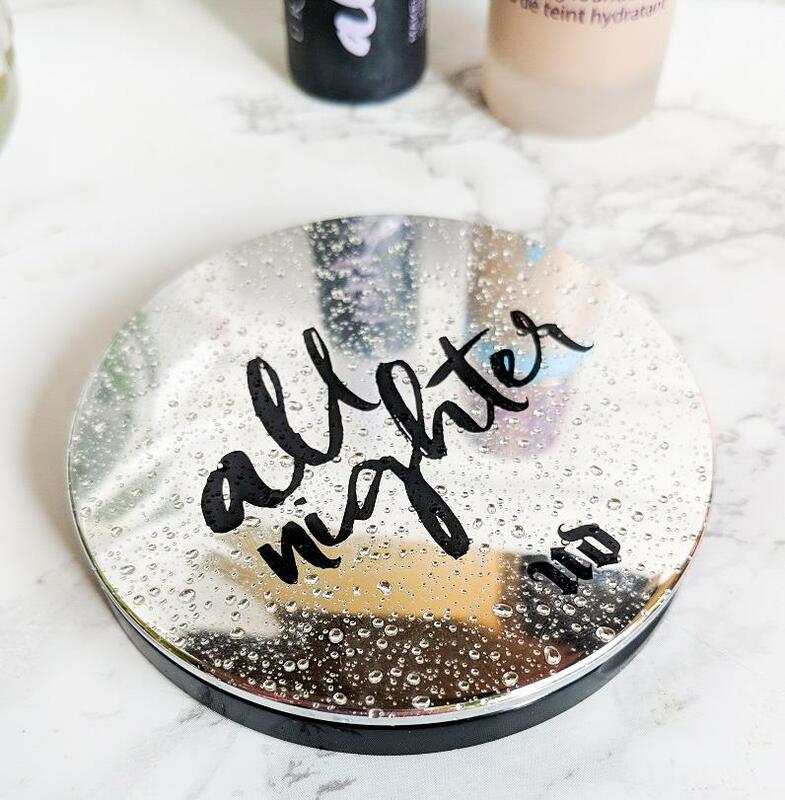 If that’s you or if you just like to know you’re make up is on lock all day, you need Urban Decay’s All Nighter Waterproof Setting Powder. 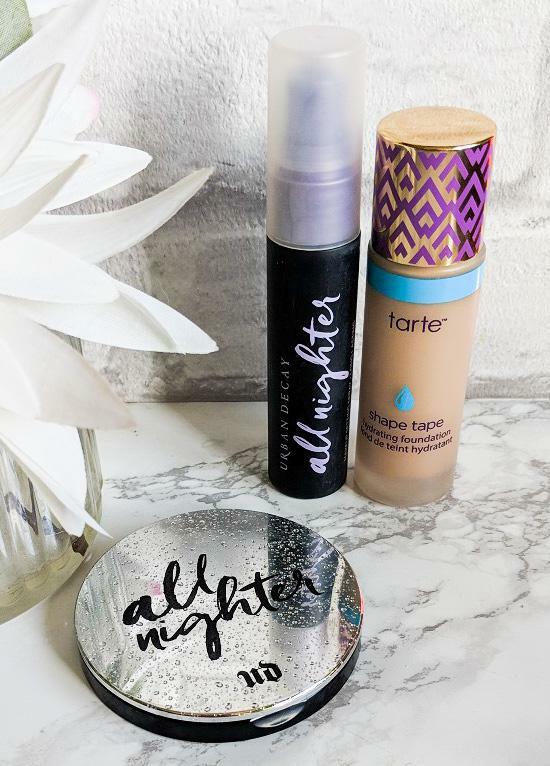 Urban Decay’s latest addition to the All Nighter family is this absolute gem. A revolutionary newcomer to the line, the All Nighter Waterproof Setting Powder is a waterproof setting powder to keep you feeling fresh, perfect and confident all day long. The sleek, slim compact is perfect for on the go touch ups and the mirrored lid has a cool water droplet effect on the top. The powder feels almost creamy to the touch and provides an instant blurring effect to pores and blots down any moisture on the skin. The high-tech formula doesn’t make your dewy foundations look flat nor does it make your matte formulas look caked which is perfect for the summer weather when you don’t want to feel weighted down. As part of my routine, I pack the All Nighter Waterproof Setting Powder on with a dense brush in the centre of my face which is the main greasy / sweaty spot and then dust over the rest of my face with a fluffy powder brush. 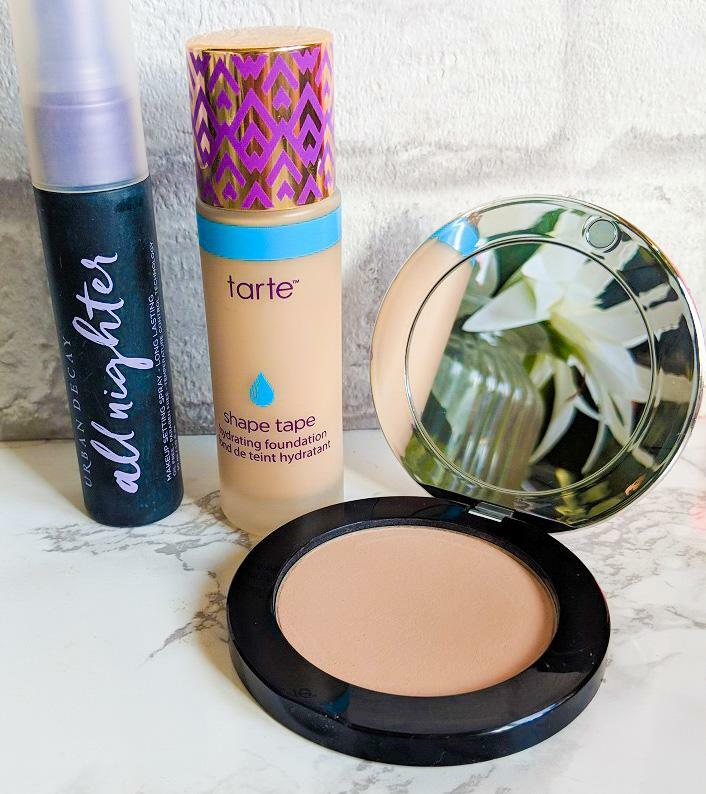 I have tested this over dewy foundations, matte and cream bronzers and the effect is always the same – locked down make up looks that last all day. I always finish with a spritz of the All Nighter setting spray to refresh and further lock the make up. My top tip – if you use a brow pencil, dust your brows with the All Nighter Waterproof Setting Powder before you start, the pencil lasts even longer than usual. The only downside is the colour choice. It’s labelled as translucent but it definitely adds a slight beige haze to my make up, if you are on the lighter or darker end of the shade chart I’d definitely swatch this in store to make sure it’s not too dark or ashy for you. The Urban Decay All Nighter Waterproof Setting Powder is £24.50 from all usual Urban Decay stockists but I picked mine up for £18 on the Debenhams website. What are your top tips for keeping your make up on and looking flawless all day long?